Hi lovelies! Happy first day of December! It’s hard to believe it is now officially the holidays but now I can justify listening to Glee Christmas, *NSync and Mariah Carey on repeat which is always a good thing in my book! Last night though to celebrate the last night of November, I made myself my first pumpkin protein smoothie for dinner and it was delicious! Smoothies are the perfect dinner for me sometimes when I get home from work late and just need some fuel quickly. Although smoothies are sometimes considered a breakfast food, breakfast on weekdays for me are fast and furious. But on the weekends, breakfast or more accurately, brunch, becomes my favorite meal of the day. Surprising to some because I don’t eat eggs, but really it’s just an excuse to get carbby. Which is exactly what I did when my girlfriends and I went to Mamas for brunch. 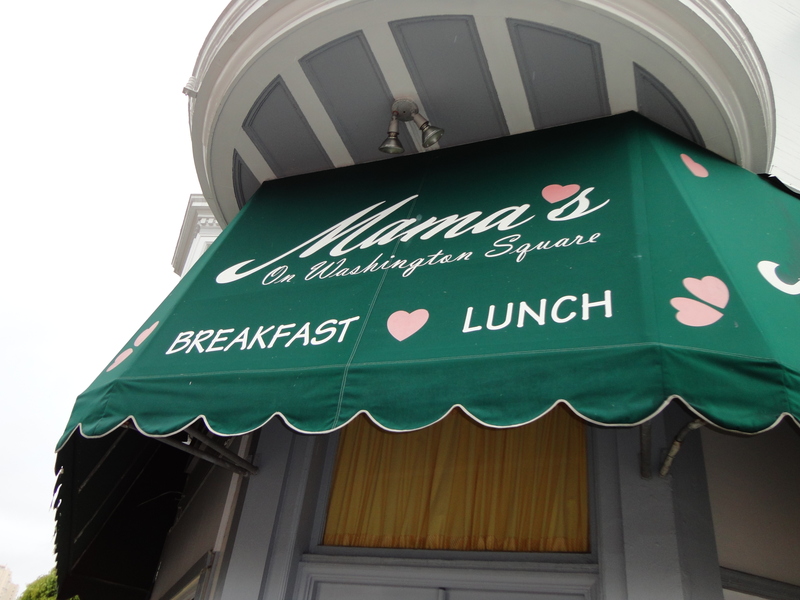 Mama’s is a true San Francisco brunch establishment in North Beach that has been there for over fifty years. They are known as much for their incredible menu as they are for the perpetual line around the block. I’ve always wanted to try it but standing in line on an empty stomach never sounded too appealing. 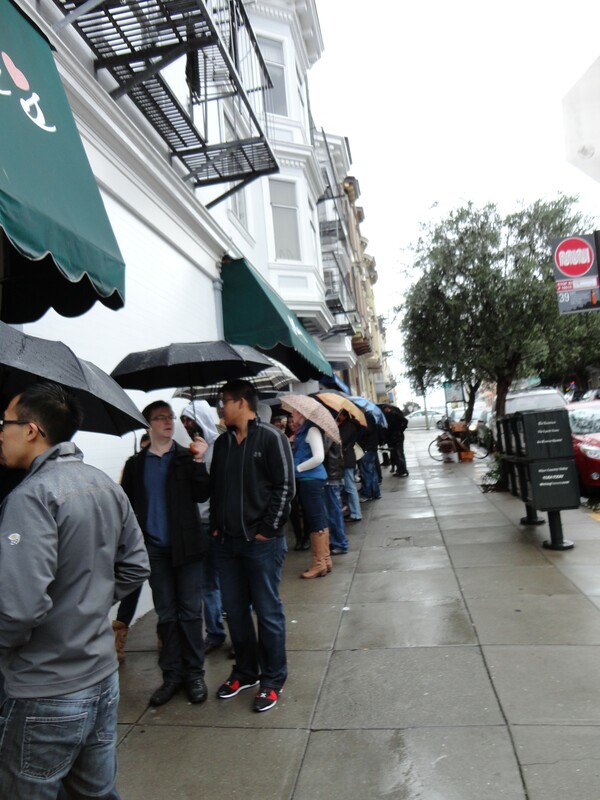 But despite the pouring rain, we grabbed our umbrellas and braved the rain for two hours! Once we finally made it to the front of the line we were ecstatic and had passed the time chatting away so the line actually went pretty fast! Of course much of this discussion was devoted debating what we were going to order for brunch so by the time I got inside, I knew that one of their amazing french toast creations was in my future. A little cold and damp but so excited to finally be in the front of the line! Mama’s actually has a great system because once the line continues inside (yes, we were sad to find this out) you order and pay and are then seated. That way, by the time you sit down all you are doing is waiting for your food and eating! I was tempted to go for the chocolate cinnamon french toast but then at the last-minute I decided to go for the french toast sampler and home potatoes… yes, I went all out. 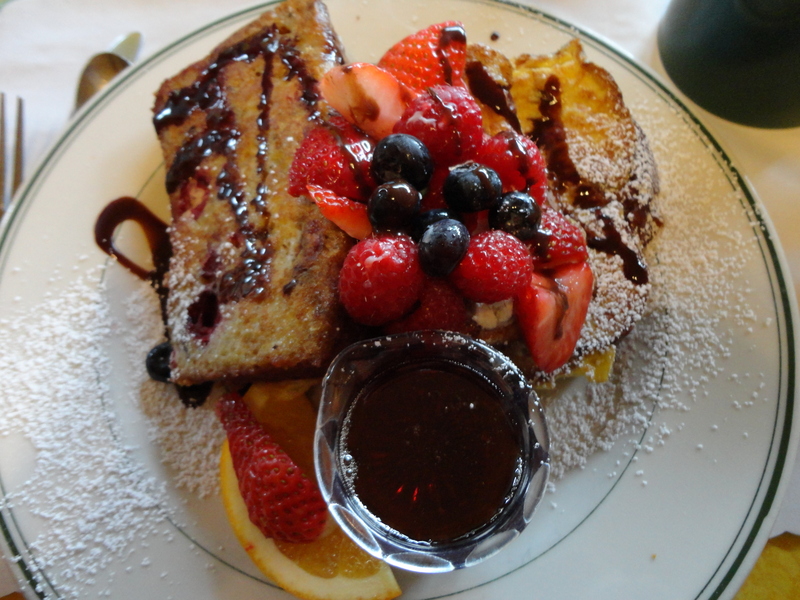 The french toast sampler included 3 different flavors: banana bread, chocolate cinnamon and cranberry orange walnut. I had expected the chocolate cinnamon to be my favorite but I actually could not get enough of their seasonal cranberry orange flavor. It was absolutely delicious! Unfortunately, I got too full to do more than taste the others but that one was definitely the best! The other incredible thing? The breakfast potatoes! 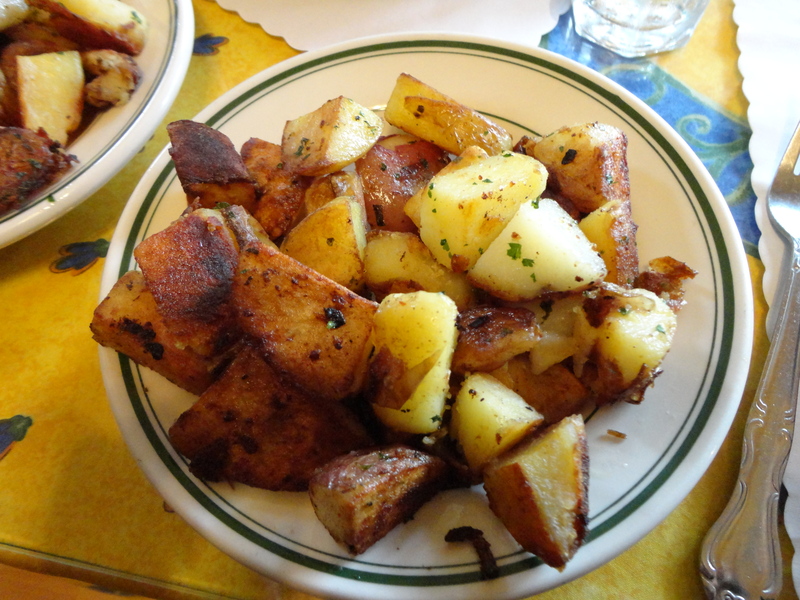 I never order breakfast potatoes but these were so tasty that my self-control went out the window! -Have you ever stood in a long line to get food? -Which french toast flavor would have been your favorite? -What’s your favorite meal of the day? I wish I had heard of this place when I was in San Francisco last October for my marathon! We were always looking for new and exciting places to eat breakfast, but stuck to Starbucks most of the time. Breakfast is absolutely my favorite meal of the day and I have a difficult time waiting to eat it if I have to. Literally every morning I wake up, brush my teeth, then head straight to the kitchen. I don’t play with breakfast! I have never waited that long to get in somewhere- WOW! I think it would be cool to eat at a place that was that wildly popular though! If —No, WHEN!! !— the husband and I make it back to the bay, we’ll have to check out your reviews of great places to eat! Wow, that food must have been worth it! I’m drooling over those potatoes! Great post! We do need to continue going to brunch! 2 weeks and lets do it the day you are in the city! I’ve waited in line for food many times! 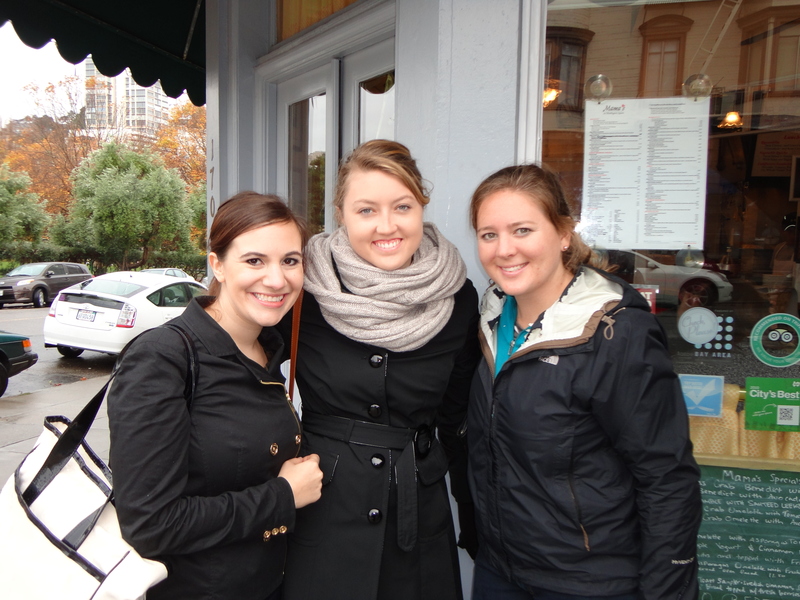 When Georgetown Cupcake first became a craze in DC, I stood outside for 2+ hours to get a cupcake! There’s also a pizza place in Berkeley called The Cheeseboard; there’s always a long wait, but it’s totally worth it! If you’re ever over there, definitely check it out!